BEST THING EVER! I just asked it what time it is, and she told me. For those not in the know (which is usually me, very unlike me buying the latest gadgets! 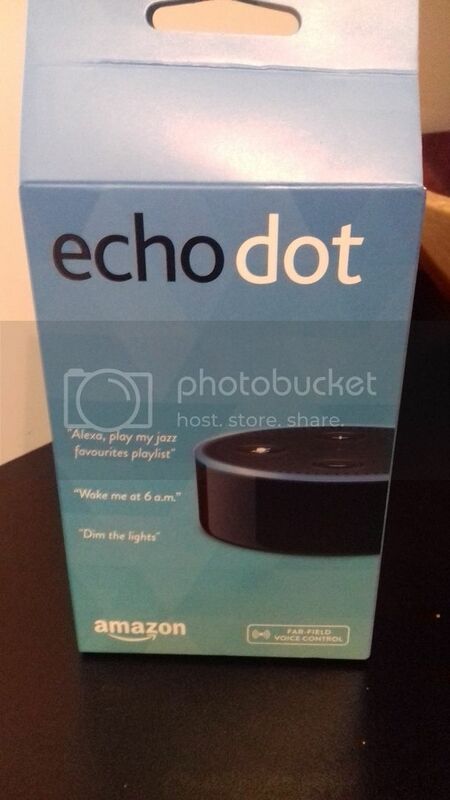 ), it's a speaker which connects to my phone via the magic of wifi or blutooth and plays my music, responding to voice commands! She also looks up stuff on the internet for me... seriously, amazing. I finished off the head and started working on the tail. 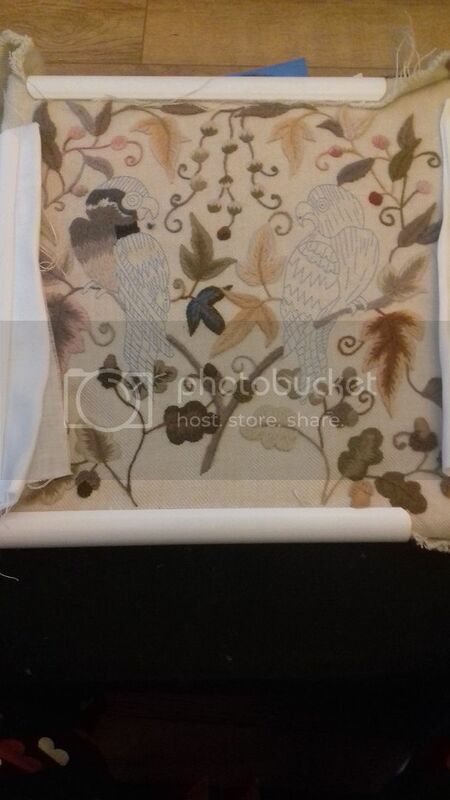 The head was long and short shading, the tail is satin stitch. I didn't get that much done again this time. Next time, my goal is to complete this whole parrot. I know, ambitious, but you've got to be in it to win it! 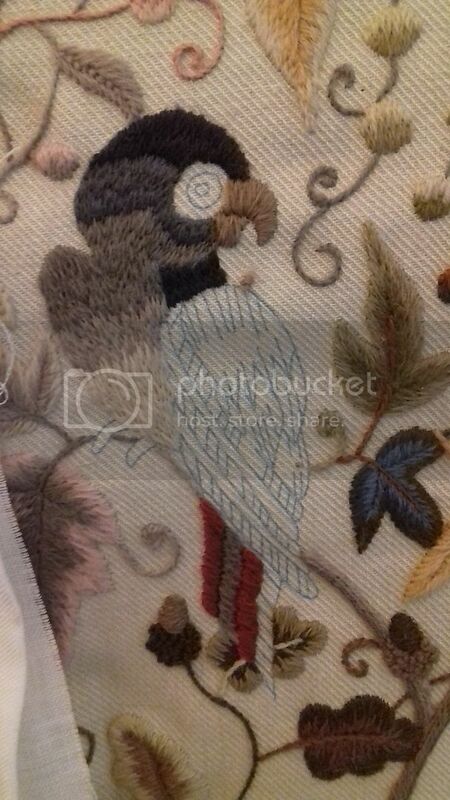 your parrot is coming along very nicely, that sort of stitching is beyond me but I admire those who can do it. Love the muted colours in the parrot - he's coming along beautifully. Those are going to be very fine parrots! Hope you had a good night out. The parrots are coming along. Good luck with your goal. Having a goal is good, but you don´t always have to follow it through. :) The parrot looks great so far! This is just amazing. Love watching your progress. Your parrot is coming along nicely, Wendy, glad to have you back! Your piece is looking so good! Thanks for showing it! I hope you enjoyed your night out! This is coming along very well! I love your parrots. Such intricate sections you are stitching at the moment! Simply beautiful and so neat. 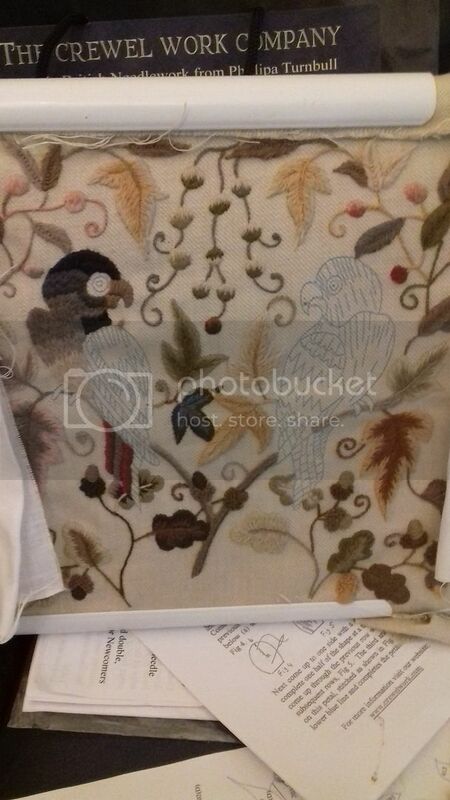 Your crewel work parrots look wonderful. Great job!